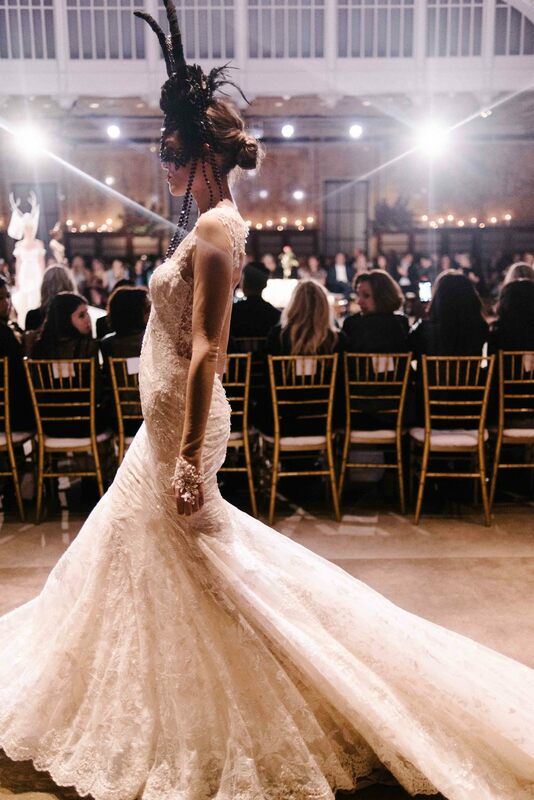 No one does drama quite like Galia Lahav. The Fall 2016 Couture collection, entitled "Ivory Tower", was presented in a stunningly unique runway show at the iconic New York Public Library. 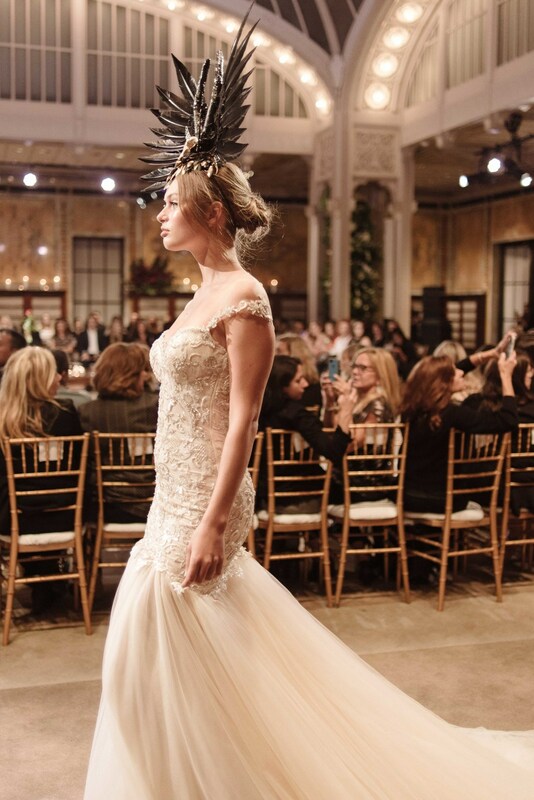 Under a glass rotunda and in a candle-filled room, models donning gothic crowns, ivory antlers, and ravens as headwear strode past a captivated audience. The collection is described: "She rules her Ivory Tower and runs the show. Galia Lahav envisions her brides in a romantic Middle Ages setting...." It's official: the Princess Bride is gone, and it's now the Queen that the modern bride aspires to be. That the gowns still managed to be the center of attention in such a striking setting is a testament to the Galia Lahav collection. Even when viewed up close during our appointment, the models in minimal makeup and casual low buns and the grandiose setting gone, the dresses are simply breathtaking. Every detail is thought through and executed perfectly, from the layers upon layers of lace and tulle in a skirt, to the signature low backs outlined in intricate detail, to a detachable train trimmed in gold leather on one gown. We can't wait to bring this new collection to our brides! 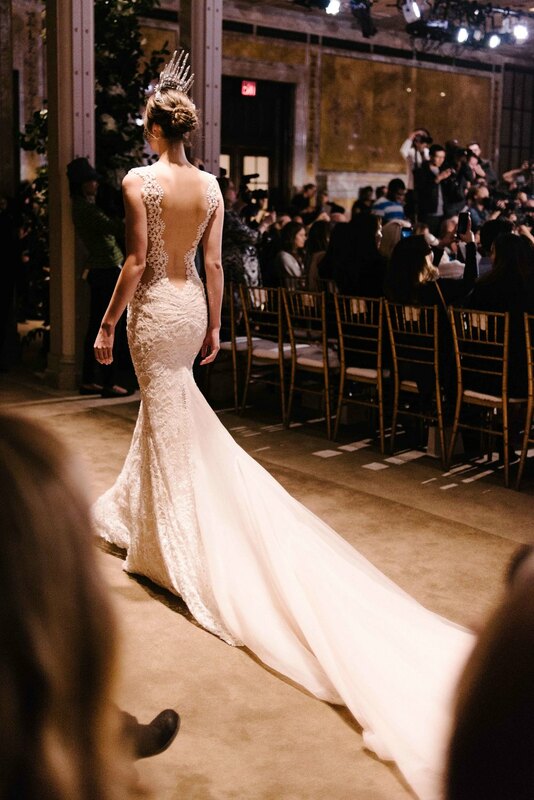 We are already booking appointments for our January 22nd-24th Galia Lahav Trunk Show, where this collection will be available for the very first time in Colorado. Schedule your appointment here.